Andrea Falcone is Associate Director of Education and Public Services at the Auraria Library where she leads a dynamic instruction and outreach program serving three institutions, including the University of Colorado-Denver, Metropolitan State University, and the Community College of Denver. Andrea has published and presented widely on innovative teaching techniques, improving classroom communication skills, and pedagogical uses of technology. At the national level, Andrea has been selected as one of four presenters for the Association of College & Research Libraries and travels nationwide to encourage strategies for planning, assessing, and communicating the impact of academic libraries. 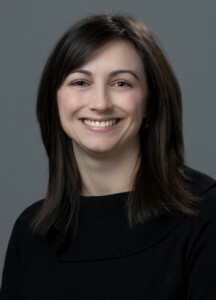 Andrea earned a Masters in Library Science, the terminal degree for the profession, from Indiana University and a Master’s in English from the University of Toledo.